The images we make on your wedding day are – without exaggeration – priceless. It’s important to consider the best way for you to enjoy these images in the years to come. Our two most popular finished pieces are.. I custom design each album so that yours is totally unique in design as well as in the images. We use an album company called Finao because they are the best – the images are printed on archival photographic paper and flush mounted to give thick board pages. 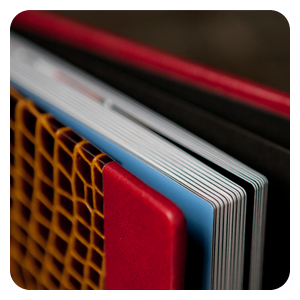 The details such as the range of cover materials and rounded corners make these albums stunning to look at and a pleasure to hold. Over a decade of PhotoShop experience goes into the creation of these one-of-a-kind images. 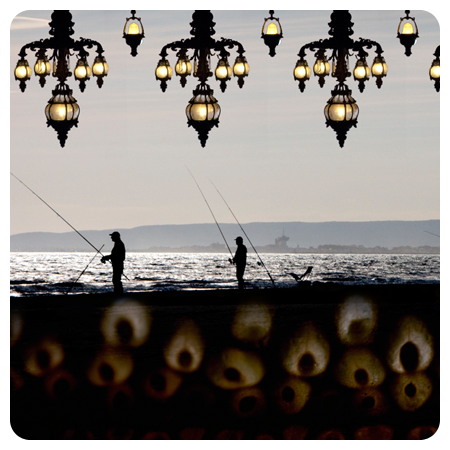 Just like my fine art travel photography pieces (below, right), multiple images are combined and layered in a whimsical celebration of life. I include details of your wedding day and elements of your personalities to create a piece that represents your relationship with each other. You will have a gorgeous piece of art to display in your home, for you and your guests to be able to see the fantasy romance that lies just beneath the surface of your everyday relationship.